Scientific storytelling is not easy. Some ideas require highly specific technical terms and ideas that cannot be summarized in a couple of sentences. Simplifying ideas can lead to lost information, and we realized this during the development of our infographic site. So here in our website we provide deeper explanations and references for the information at OceanSeeding.com. 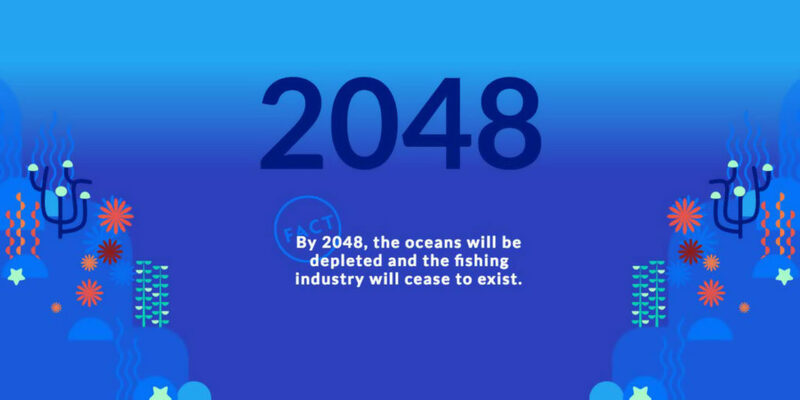 Scientists predict that by the year 2048 global fish stocks will be depleted. 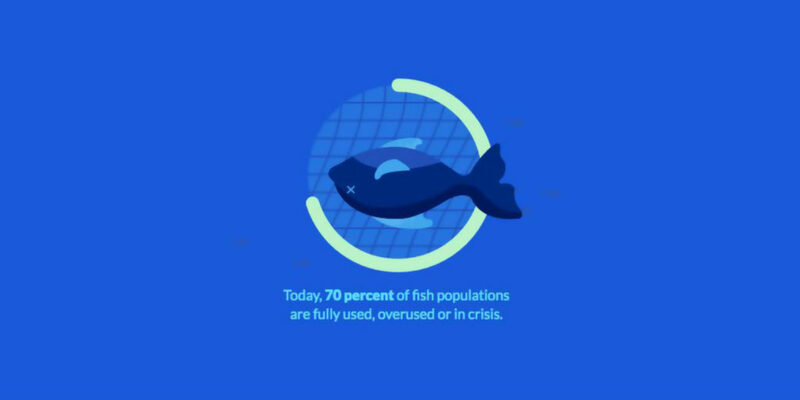 This estimate comes from an extrapolation of worldwide fisheries and time-series data, showing the dramatic decline of biodiversity and certain fish stocks in recent decades. By extending the current trends forward in time, it’s projected that by mid-century all important fish stocks will be lost beyond recovery. However, the study does highlight this trend is reversible if we act now. Fisheries are under pressure at a planetary scale, with more than 70% under a state of overharvest, and many undergoing a severe crisis. 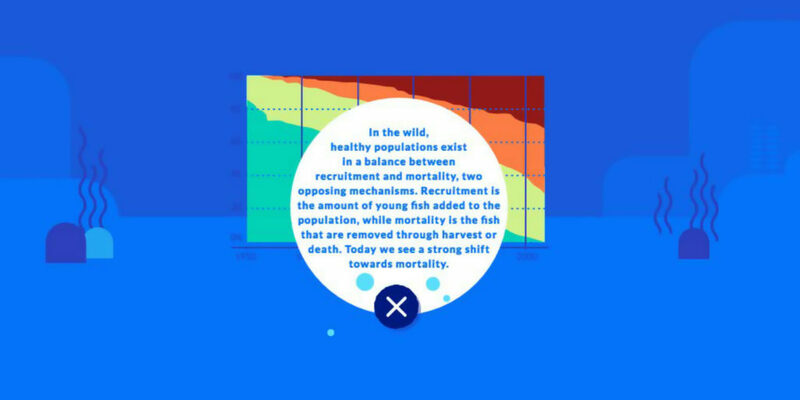 The graph we use is an adaption from a paper by The Sea Around Us project, which surveys the health of global fisheries and marine ecosystems. 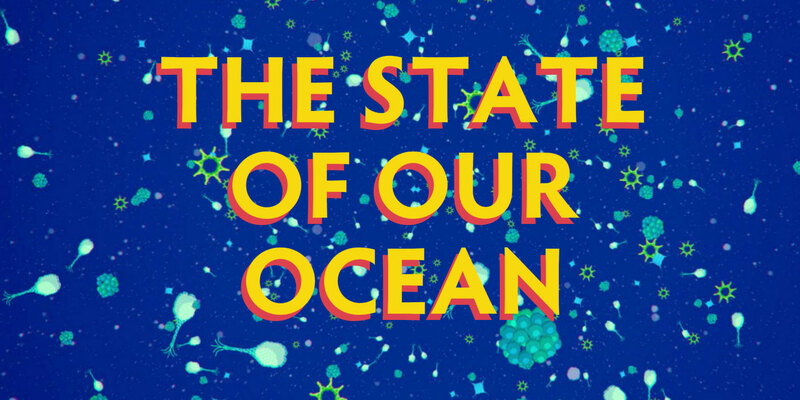 The science of population dynamics is a very complex field of study, so the statements at OceanSeeding.com are a simplification of the many variables that control the growth and health of animal groups. Even though it’s complex, population biology is an extremely useful tool that pinpoints the specific factors that stress individuals. With this information, selective care can be taken of particularly vulnerable age groups, in order to ensure their survival, which can enhance the population as a whole.